From morning til night, each one of us is creating our own visual catalog of the day with our own distinctly unique perspective. 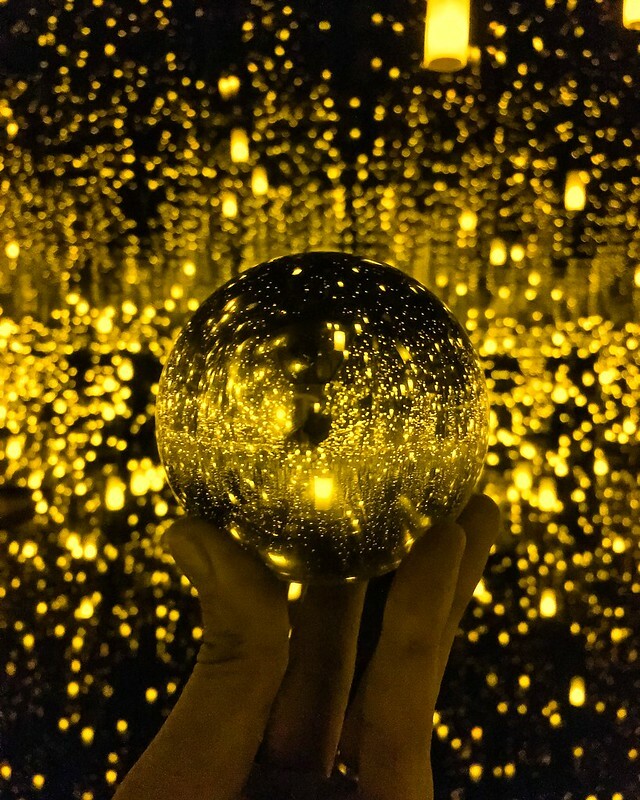 For each and every second of it, we’re consciously flooded with sensory stimulation from a 360 perspective; subconsciously, we’re processing patterns, unraveling narratives and unlocking clues to questions we’ve yet to ask. To me, this is why photography is such a transformative art form – to be able to capture moments and make memories tangible; to hold onto our emotions and to those we care about in the present; to tell our own stories in our own way. The power of photography has catalyzed my creativity from an early age; but after we adopted our Canon 6D, my love of the art has transformed completely. In Alex Grey’s ‘The Mission of Art‘, he posits that the reason painting evolved was because of the introduction of photography. For centuries, the best way to depict a landscape or scene was to do so as accurately as possible; to retain the original qualities of the subject. However, with the advent of the camera – the need for replication started to dwindle, and be replaced with cubism, surrealism, expressionism, and the like. Fast forward to now, where we all have a camera in our pockets and at least two (or more) forms of social media accounts to post photos on. 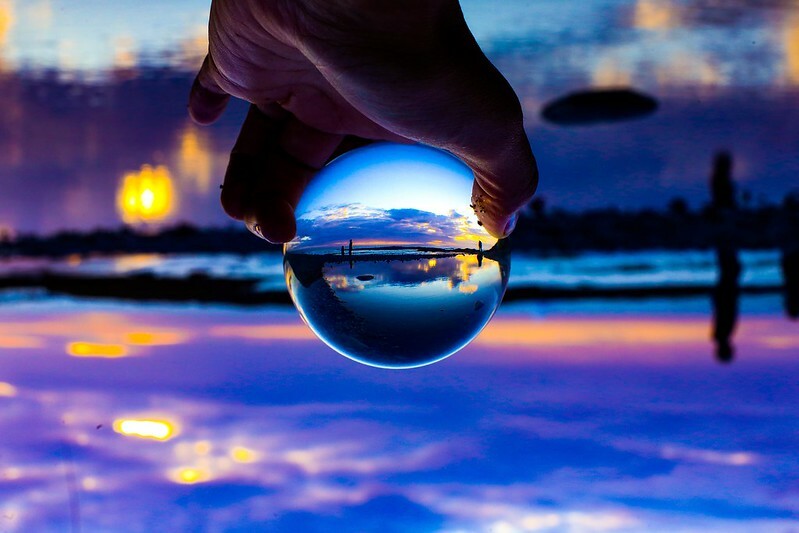 Those same driving factors that lead to abstract art are creating a shift into abstract photography; employing digital editing, prism lenses and other incredibly fun photo warping tools. 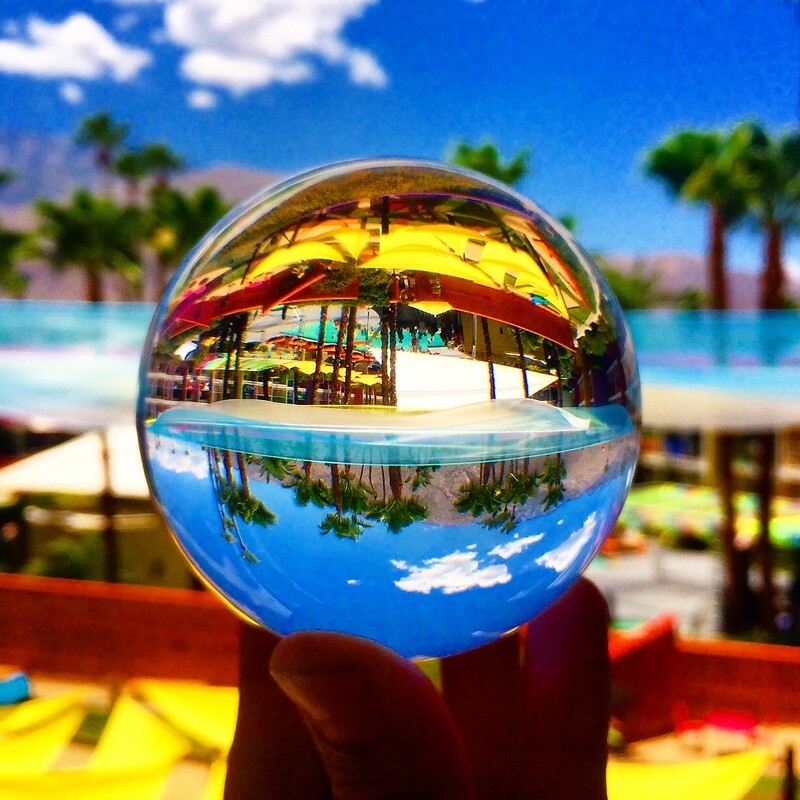 Enter: Lensball. 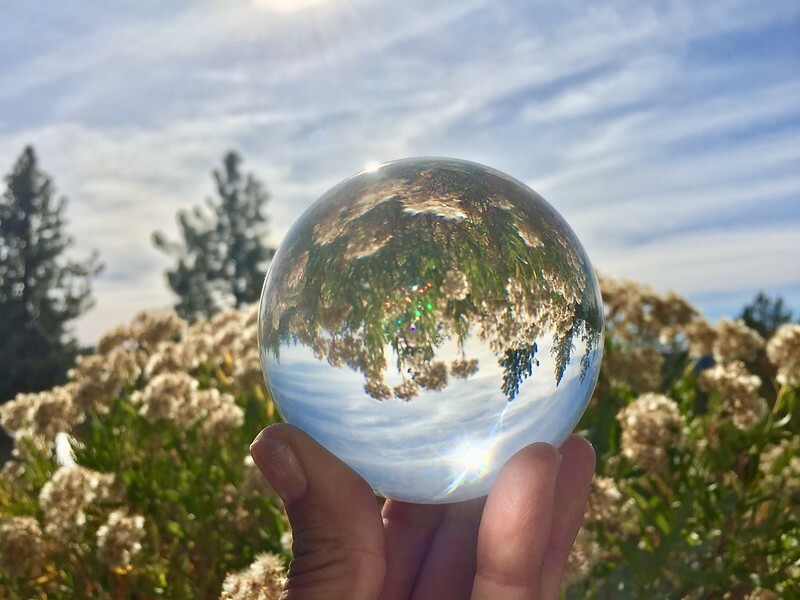 By far, my personal favorite trippy little photography friend; Lensball is high grade crystal glass photography sphere, here to refresh your perspective and refresh your image skills. 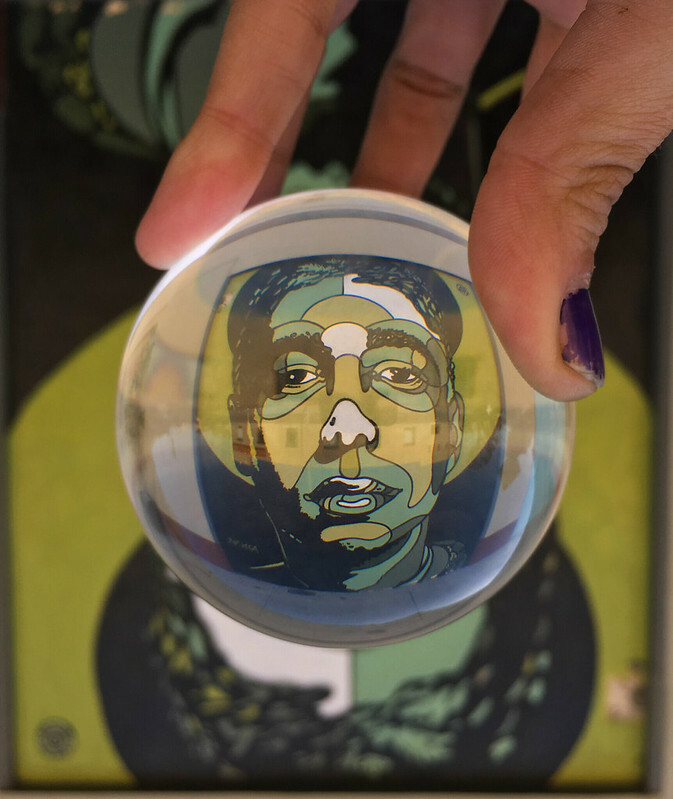 Coming in two standard sizes, the Lensball Pocket is 60mm while the Pro version comes in a 80mm version. First things first: everything is a toy if you play with it; so, play! 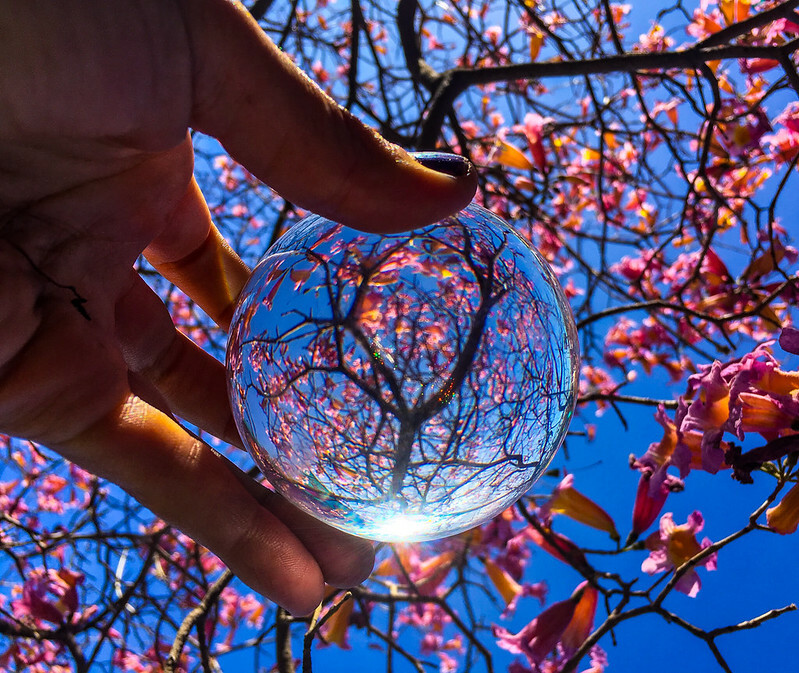 Find fun lines and eye catching center pieces to flip and reverse; discover inventive ways of placing the glass to create your images beyond your hand; manipulate your subject matter into something magical. My only roadblock to conquer so far was how to get an in focus shot on a manual focus lens while flying solo – but with a little practice, I think I’ve finally mastered the art. 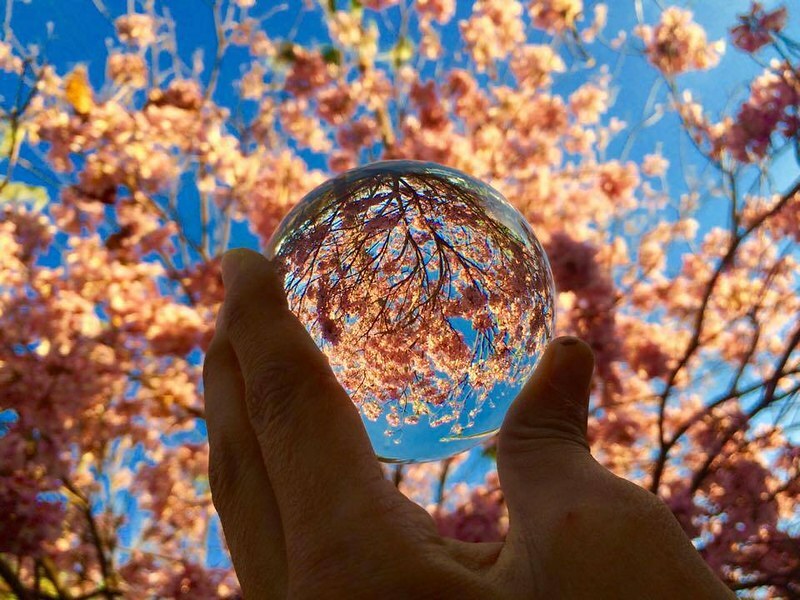 One quick warning – because this is a glass orb, the Lensball behaves like a magnifying glass in the sun: it can burn your hand if you’re not careful how you hold it and prolonged exposure in bright light can even cause a fire, so be wary of where you point it and set it down. 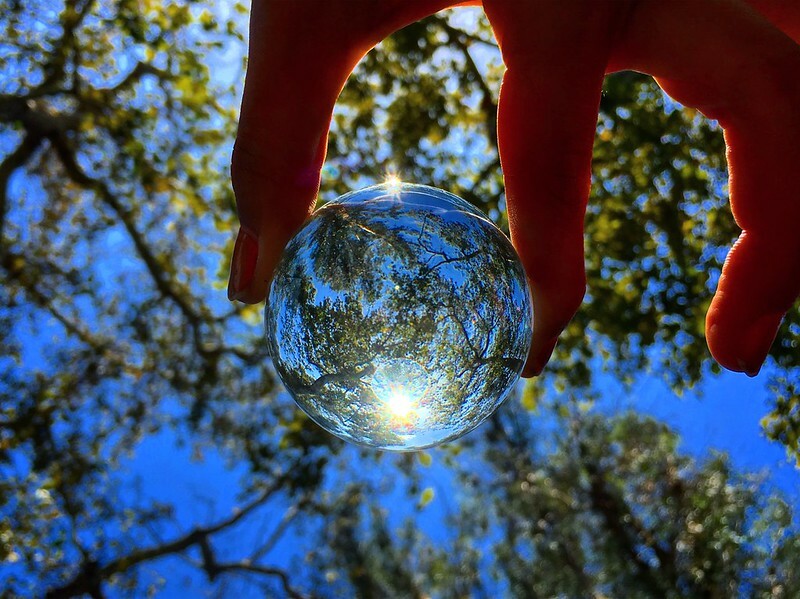 Catch my Lensball in action in my Flickr album, or Follow me on Instagram! If you’re interested in one of your own – peep their website and social media pages for incredible amounts of inspiration; their photo ambassadors are unreal. Or, just cave in and snag one (or a couple!) already – you know you’re curious! 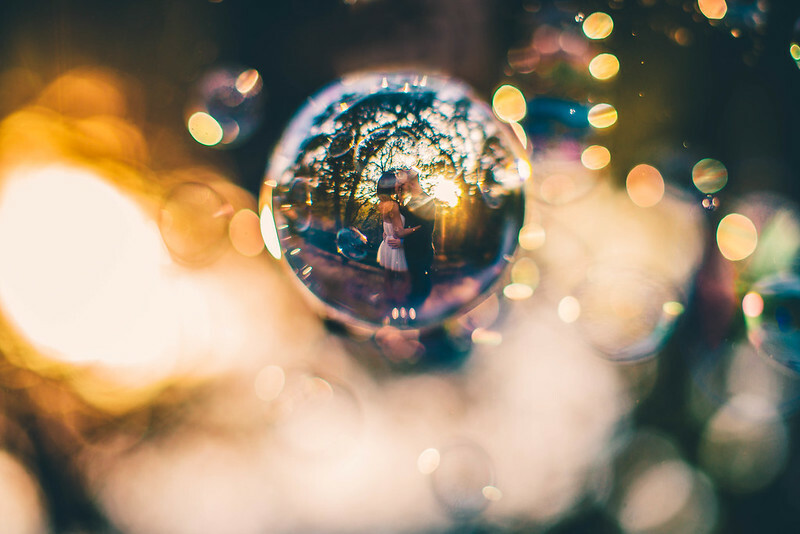 What are some of your favorite Lensball shots? What about best toys to create with?? I’m eager to ingest all this knowledge into my photography lexicon; let me know in the comments below!